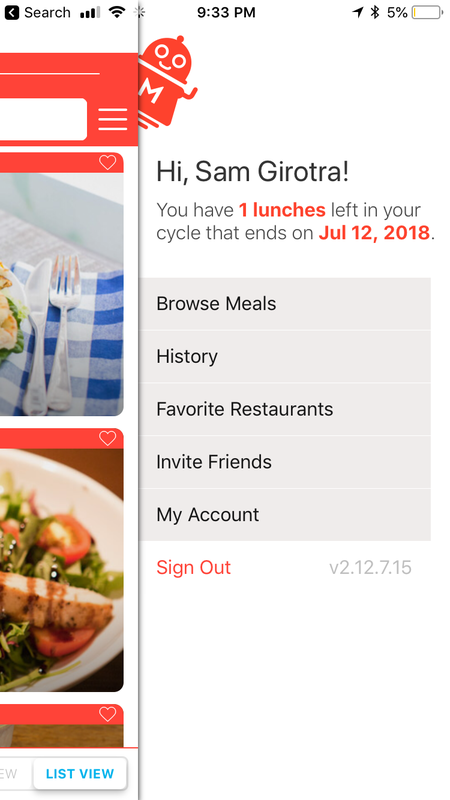 MealPal is a lunch and dinner subscription service where you receive a set number of meals for pickup over a 30-day period. Depending on your plan you can eat for as little as $6 per meal in New York City, which is quite a feat. I’m now on my second cycle and I’m not planning to leave anytime soon! 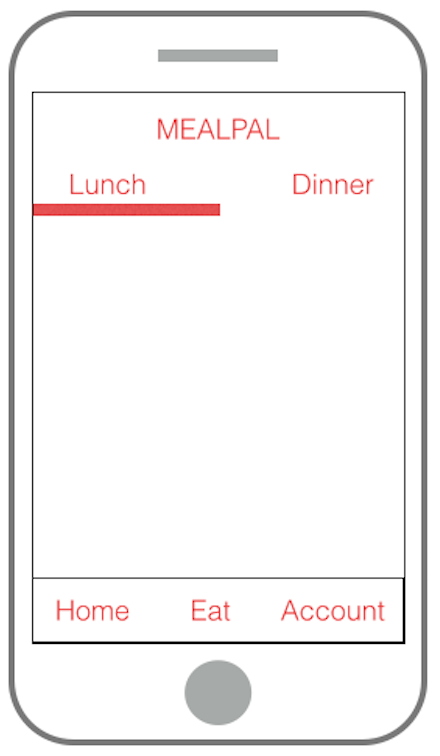 MealPal’s strength is turning something annoying (lunch, yes, extremely first-world problem) into something, well, fun! We’ve all been there – ‘time for lunch…but what should i eat today?! had Mexican last night don’t want it today…that place is too far..only have 30 minutes!’ With MealPal you get an email at 5pm every day telling you that the Kitchen is open for lunch the next day. You then pick what you want when you want it and you’re all set! So now you’ve solved lunch ahead of time and you have something to look forward to. The pick-up is the other annoyance in the lunch process, but MealPal even makes this delightful. Your order is ready when you arrive – no lines, no paying for anything – just show them your order number and you’re done! I really love the ~18 hours to payoff as it’s unique among digital experiences. We’re accustomed to instant gratification with social networks and news services, but the payoff only requires us to tap an icon on our home screens. There is an inherent anticipation build-up with Food Delivery services, but if it comes on time I’m simply satisfied and if it’s late I’m extremely hangry and nobody wins. 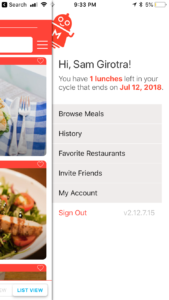 MealPal promises me a trip out of the office at a specific time with little effort to accomplish my task of getting lunch – that is something I can look forward to with every meal from them. 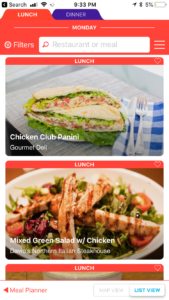 Another great thing about MealPal is that there’s still more to experience after lunch. The next time I open the App after picking up my Meal I’m immediately prompted for feedback and I love this. 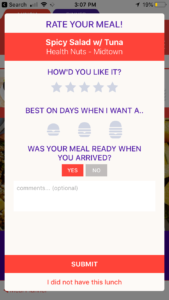 It shows me that MealPal cares about my experience and wants to make the product better. The survey is short and to the point and I always complete it. I have no idea what the logistics of working with MealPal are on the supplier end, but this economic arrangement seems very favorable. As good as the Meal-eater experience is, the supply of Restaurants is really the limiting factor to how popular it can become. 3rd-Party Data – I use other apps and services to find restaurant recommendations and having this layer on top of MealPal would help with discovery. I’d love to see a Foursquare integration (my go-to for reviews/ratings) so I could vet the places I’ve never been to before and maybe see my favorites/history from that service offered as suggestions in MealPal. To MealPal’s credit I have noticed the addition of filtering by Portion Size, which is something they ask customers to answer in surveys. I find this feature very useful. 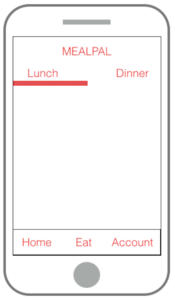 And visually, I really dislike the ‘tabs’ used to distinguish between Lunch and Dinner on the home screen. They look like browser tabs and to me that just looks wrong on a Mobile App. A segmented control with the ability to swipe between the two sections would look a lot better.